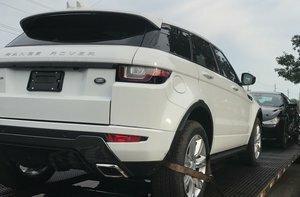 Door to door auto transport service is one of the two most common ways to ship your car across the country, south for the winter, or just to a neighboring state. The other most common option is terminal to terminal auto transport service. Read on to learn what door to door transport means, the difference between the two services and why Fisher Shipping only offers door to door auto transport service. Of course, if you’re ready to ship your vehicle, give us a call at 1 (888) 886-3456 and we’ll be happy to help you out. • Car carriers can be up to 75-80 feet long. Trucks of this size find it very difficult to navigate in tight residential areas. • These trucks cannot always safely or legally just pull over anywhere to load or unload your vehicle. 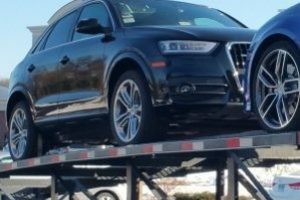 • Most car carriers have open trailers. This means there is no protection from low hanging tree branches. Covered car transport options are available but cost up to twice as much as transport on an open trailer. What is Terminal to Terminal auto transport? Terminal to terminal auto transport means a truck picks up and delivers your vehicle to either a trucking company’s lot or a storage facility. Often, terminals are inconveniently located in densely populated areas, sometimes over 100 miles from your desired pickup and/or delivery points. They can also have limited operating hours. Why does Fisher Shipping only offer Door to Door Auto Transport? Door to door auto transport is not only more convenient, but also much safer for our customers. For example, many of our customers transport classic cars, their Porsche or some other exotic vehicle. With terminal to terminal transport, three different parties handle your vehicle. First, there’s the pickup facility staff. Then the driver. Lastly, there’s the storage facility staff. With three different parties involved in the move, the damage risk increases. If the damage is not properly documented by any of the parties, it decreases your chance to get a claim paid through one of their insurance companies. Even if you transport a Toyota that you have owned for 5 years, we recommend not taking the risk. Our goal is to get your vehicle to you safely in as little time as possible. We have a great reputation for moving vehicles quicker than just about anyone in the country. We also have an incredible track record for shipping vehicles to Texas, California, or anywhere else in the United States……without any transport damage. We think door to door auto transport is the way to go. Of course, we look forward to serving you on your next door to door vehicle move. In addition to being bonded with the DOT, Fisher Shipping is a licensed member of the FMCSA. “Dave ****** was very professional and worked with me to meet my specific shipping needs to get my car from MA to OH.” Barbara Z. “We have been shipping our cars with Fisher Shipping for over 5 years and they are wonderful! We do not use anyone else for our out of state shipping. Wonderful office staff to work with and always willing to help in any way!” Traci E.